We believe natural is best for your beautiful baby. 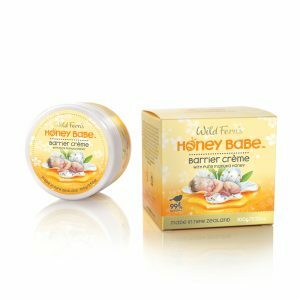 Made with premium certified New Zealand Manuka Honey, Honey Babe products contains at least 95% natural ingredients to gently soothe you and your precious little one. Manuka Honey is unique to New Zealand and is acclaimed for its natural antiseptic, moisturising and healing properties. Blended with pure and natural plant extracts especially chosen to protect and pamper baby, Honey Babe is the perfect skincare range for everyday special care. A baby’s skin is on average 30 times more delicate than adults, which means chemicals are absorbed at a higher rate, often leading to irritation, dryness, chaffing and rashes. An estimated 10 to 20% of babies may have a run in with eczema before the age of one. Manuka Honey is well known as a treatment for eczema in babies and has great benefits in relieving the itchiness associated with eczema. As well as using the natural antiseptic, moisturising and healing properties found in Manuka Honey to protect the skin from harm, the range also includes Aloe Vera, Chamomile and Rosewater to soothe, soften and hydrate. While Sweet Almond, Avocado, Coconut and Rosehip Oils work to moisturise and nourish the skin. Honey Babe products can be used on newborns (2 weeks and older), infants and toddlers. While, as a general rule children under the age of 12 months should not ingest raw honey because of botulism spores, there is no danger from honey in skincare products as the honey is not ingested.